Celebrate the love your little sweetheart brings you with these Valentine gifts for kids. With over 150+ Valentine ideas for kids , we’ve rounded up our favorite Valentine gifts for boys, girls, and toddlers. Kids love Valentine’s Day! For them, Valentine’s means funny cards, heart shaped candy, comfy pajamas, and whimsical stuffed animals. What’s not to love? Whether you are looking for Valentines gifts for girls, boys, toddlers, or grandchildren, we’ve got a ton of ideas. What better way to say, “I love you,” on this special occasion? What are the best kids’ Valentines? The key is to choose something small, sentimental, or edible. It doesn’t have to be all those things or a big gift, but choose something with meaning. 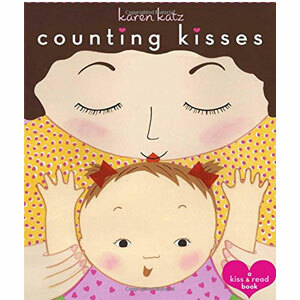 With over 150 gift ideas, these cute Valentines for kids are sure to earn you a lot of extra kisses. 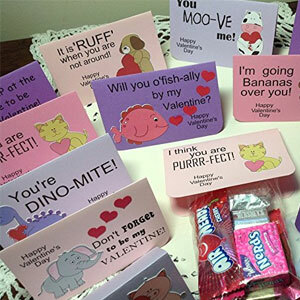 Here are some Valentine cards for kids to go along with a cute Valentine. Whether personalized or not, kids will love to receive these cards. What could be better than a funny Valentine’s card? This card has a cute bear on the front hugging a heart. The front to the card reads “I would cuddle you so hard!” Inside it says “You’d Fart! Happy Valentine’s Day.” It’s sure to get a ton of laughs. 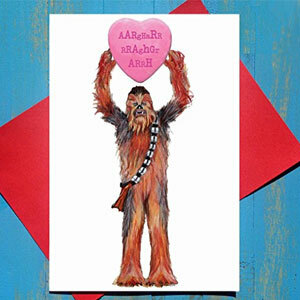 Star Wars fans will love this beautifully illustrated 5X7 card featuring Chewbacca.” On the front of the card Chewbacca is holding a hard that reads “AARrHaRr rRaghGr ArrH.” Inside the card reads, “Words are overrated. Happy Valentine’s Day. Who doesn’t love mustaches? There is something funny about drawing mustaches on a photo. Now you can get custom made Valentine’s Day classroom exchange cards with your child’s photo along with their name. 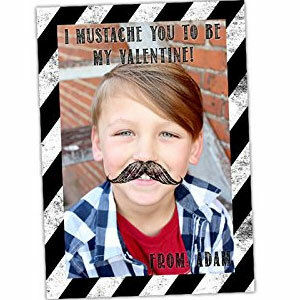 The card reads “I Mustache You To Be My Valentine.” You can customize everything from the photo to the card’s orientation. This set of 24 Valentine’s Day exchange cards can be customized with your child’s name. The card reads “Wishing you a SWEET Valentine’s Day” and has cute graphic of a sweet treat. What’s more fun than a glowstick? These Valentine Day exchange cards are perfect for giving glowsticks as valentines. 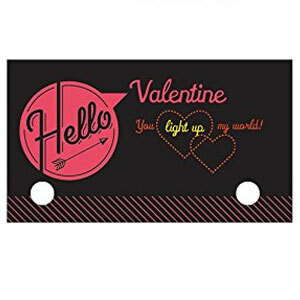 There are 24 cards that read “Valentine, you light up my world.” The cards are already punched so you just have to insert the glowsticks, which are sold separately. With the words “I’m a sucker for you! 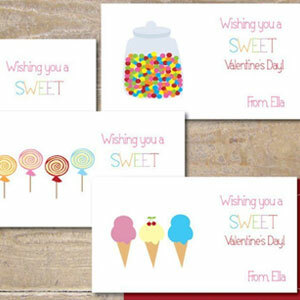 printed on the front, these Valentine exchange cards are perfect for handing out lollipops. Simply attach a lollipop to it using tape or using a hold puncher to punch two holes. With the words “I hope you have a “Doh” rrfic Valentine’s Day,” these Valentine exchange cards are a fun way to give Play-Doh as Valentine gifts to give to classmates. Simply insert a small Play-Doh can into the card. The card can even be personalized with your child’s name. 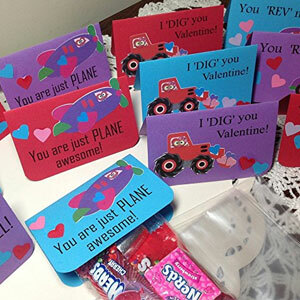 With fun sayings like “You are just PLANE awesome, I DIG you valentine, You REV me up, and I LIKE how you ROLL”, these vehicle treat bags and toppers are the perfect way to hand out valentine candy and gifts. Simply fill the bag with your favorite treats or gifts and hand the bags out. Kids are sure to love these treat bags and toppers that contain silly Valentine sayings like “I think you are PURRR-Fect!” All you need is candy to fill them up for a fun treat that kids can hand out in class. These owl toppers with treat bags are so cute. The topper says “Whooo…thinks you’re cool? Me! That’s whooo!” It can even be personalized with your child’s name. It’s a fun way to hand out treats. Who doesn’t love to color? 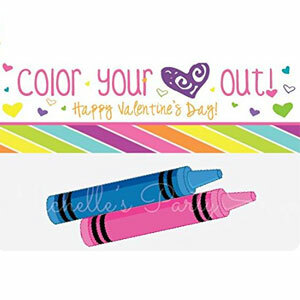 With the words “Color your heart out,” these bag toppers are a great way to hand out crayons on Valentine’s Day. You will need to provide you own plastic bags as this listing only includes the toppers. Who hasn’t fallen in love with Emojis? 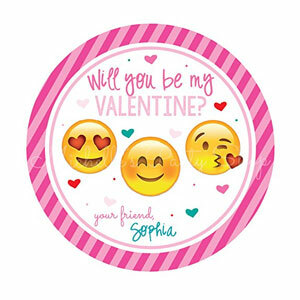 With the saying “Will you be my Valentine?” these ridiculously cute Emoji treat bag labels can be customized with your child’s name. 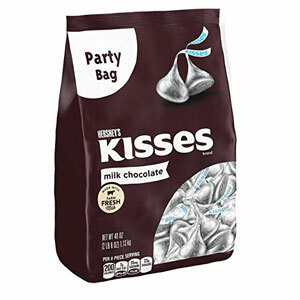 Here’s a fun way to hand out Hershey kisses on Valentine’s Day. 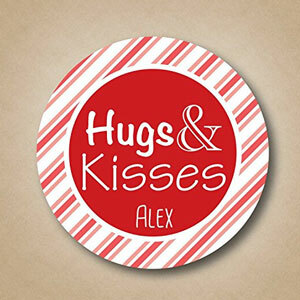 Across the front of the label, it says “Hugs & Kisses.” You can even add your child’s name to the label for a more personal touch. 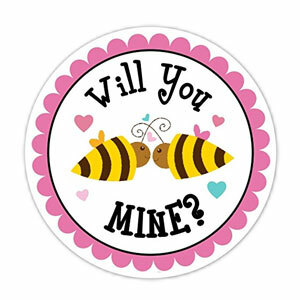 Delightful Designs makes all sorts of different Valentine labels to put on treat bags like this one that says “Will You Be Mine?” Each label can even customized with your child’s name. 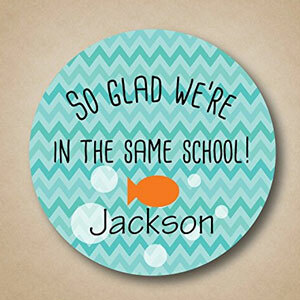 With a cute saying “So Glad We’re In The Same School” this Valentine label is a cute way to hand out goldfish or other treats. It simply sticks onto your treat bag. 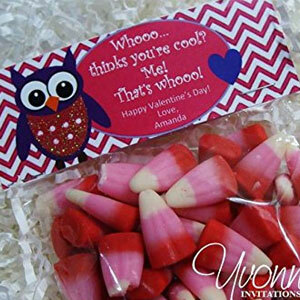 With a variety of colorful labels, this set of 50 Valentine labels is a perfect for handing out treats. It’s a fun way to decorate treat bags. 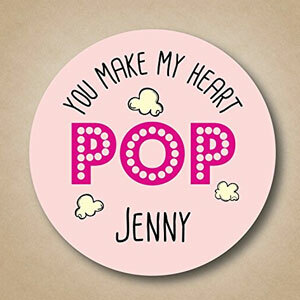 These beautifully printed labels say “You Make My Heart Pop.” You can even add your child’s name to them. It’s a fun way to hand everything from blow pops to popcorn. 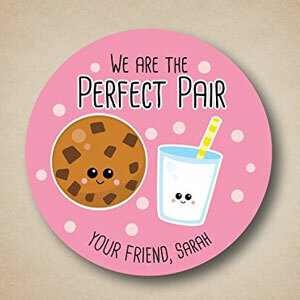 Stick ‘Em makes a variety of cute and fun Valentine labels like this one that says “We Are The Perfect Pair.” The label can be personalized with your child’s name making it even more special. These stickers are a fun surprise to add to the bottom of Hershey Kisses. The coolest part? They can be personalized. 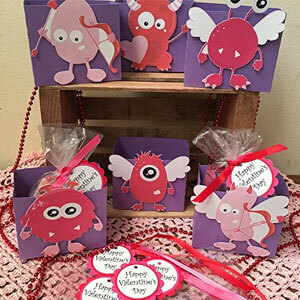 These adorable Monster themed treat boxes are a fun way to present Valentine treats. It comes with the boxes, treat bags, and ribbons. Simply fill the bag with treats and stick it into the gift box. 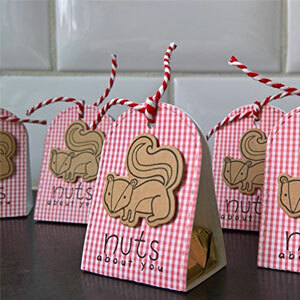 These little treat boxes with the words “Nuts about you” are a great way to give Valentine treats. The box has a cute little squirrel on the front. The boxes are hole-punched so you can close them with the ribbon. For kids, Valentine’s Day is all about exchanging gifts with all their classmates. While anything with sugar is popular, check out even more creative Valentine’s Day ideas for kids for sharing the love. Simply attach them to a Valentine card or throw them in a goody bag. Who doesn’t love Play-doh? 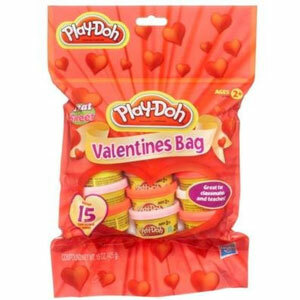 These mini cans of play-doh are just as fun to give as candy as valentines. It’s the perfect gift to give on its own or in a treat bag. The Play-Doh inside is redish, which makes it perfect for the occassion. Emojis have become super popular nowadays . 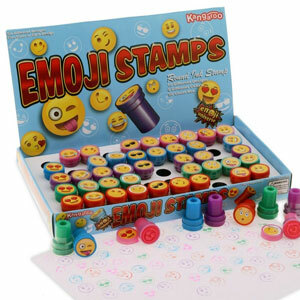 What could be fun to receive on Valentine’s Day than an Emoji stamper? With this set you get 50 stamps with a variety of Emojis. The stamps are preinked so kids will love using them right away to decorate with. Simply attach it to your Valentine card. 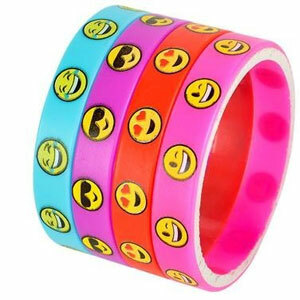 These Emoji bracelets are a lot of fun the handout as Valentine gifts in class instead of candy or in a party bag. There are 36 different bands that come in different varieties. Since they love Emojis, kids will love wearing them and trading them. Handing out a box of crayons make a super fun Valentine for preschoolers. 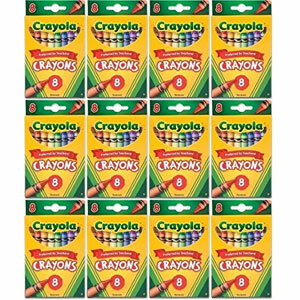 This set includes 12 boxes of Crayola crayons. You can even take a few crayons out of box and stick them in treat bags to handout. Regular shaped crayons are cool but on Valentine’s Day what could be better than heart shaped crayons. 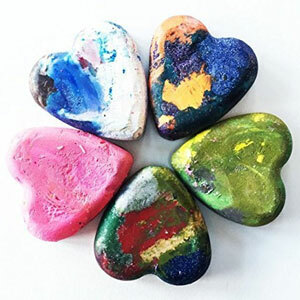 Made of recycled crayons, it’s heart shaped fun without the sugar. Kids love sipping their favorite beverage with a silly looped straw, which makes it the perfect gift to hand out on Valentine’s Day. 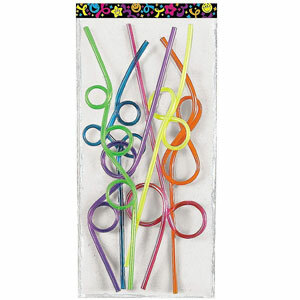 With plenty of loops and colors, this set includes 36 straws. You can easily attach them to Valentine cards. What kid doesn’t love glowsticks? 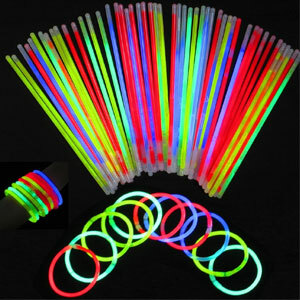 With 100 different glowsticks, these are great to handout to classmates on Valentine’s Day. The light up in many neon colors including pink, blue, yellow, and green. Kids will love using them as bracelets and necklaces. There are plenty of different ways to give them away including using them as Star Wars Lightsabers. Who wouldn’t love creating gorgeous scratch off art? Kids can make their own Valentine art work. The kit comes with 12 wooden sticks and 24 scratch off hearts that kids can use. When they scratch off the surface of the heart, it reveals gorgeous colors underneath. Look there are bubbles everywhere! 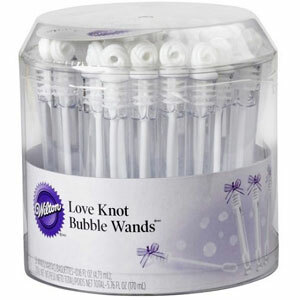 These bubble wands come prefilled with bubble water, which makes them super easy to give as Valentine’s Day gifts. 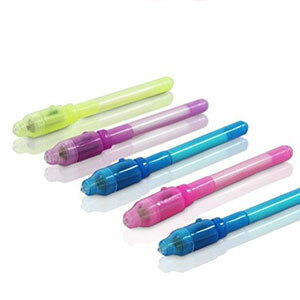 Kids will love blowing through the wand to create several rainbow colored bubbles. They add so much fun on Valentine’s Day. Flavored lip gloss can make such a fun Valentine’s Day treat. 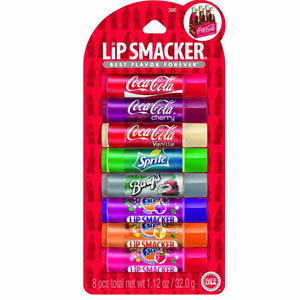 This set includes 8 coca cola flavored lip glosses. 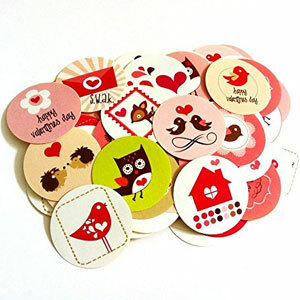 You can easily attach them to a Valentine card for a cute gift. These invisible ink pens are super fun. Kids will love acting like spies, passing secret messages to each other. Kids can write their own Valentines but you won’t be able to see it until you shine the UV light over the ink. Dino lovers will love receiving these Dinosaur action figures as Valentines. 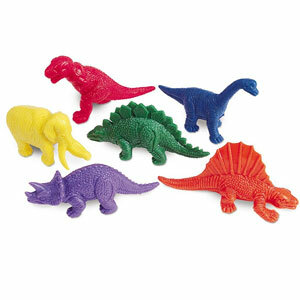 Made of soft rubber, there are so many ways that kids can play with them. With 108 different dinosaurs, you can put a few in each Valentine treat bag. Kids will love creating their own scenes and sorting them. 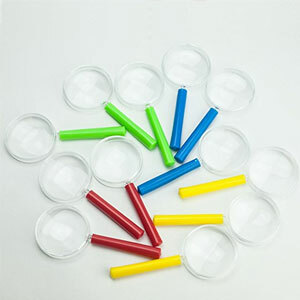 These miniature magnifying glasses are sure to inspire plenty of imaginative spy play. Measuring 1.7 inches, these mini magnifying glasses can easily fit in goody bag or be attached to a Valentine card. Like scientists, kids will love looking at everything under the magnifying glass. Kids love bouncy balls. 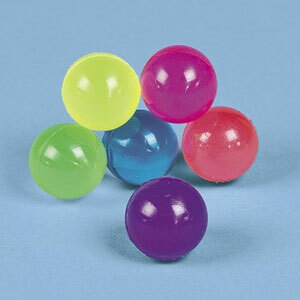 If you don’t want kids to get a sugar high, these bouncy balls will get them just as high without the sugar crash. These 1 inch neon balls have a great bounce. They are perfect for putting in treat bags. Who doesn’t want to be a superhero on Valentine’s Day? 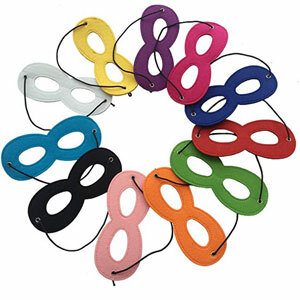 With a variety of colors, this pack of 11 superhero mask is the perfect Valentine to hand out in class. Kids will love running around the classroom, acting like their favorite superhero character. Who isn’t in love with Pokemon? 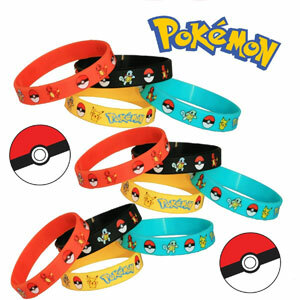 What could be more fun than brightly colored Pokemon themed bracelets? These silicone bracelets are perfect for putting in Valentine treat bags for your child’s classmates. 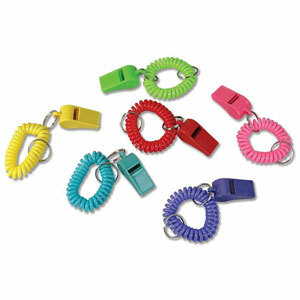 Available in assorted colors, these stretchy bracelets with whistles are fun to hand out during Valentine’s Day. Each one is individually wrapped so you can stuff it into a treat bag or attach to a Valentine card. The stretchy bracelet makes it easy to wear around your wrist. Kids will love blowing them. Is there anything that kids love more than Emojis? 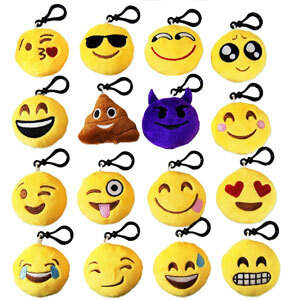 These Emoji key chains are the perfect Valentine to put in treat bags. With funny sewn on faces, you get a set of 24 key chains. Kids will love attaching them to their backpacks or key chains. Who doesn’t love animals? 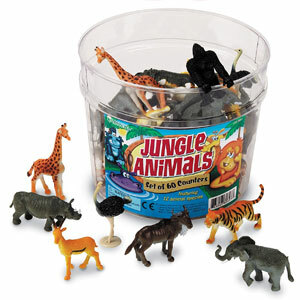 Animal lovers will love receiving one of these jungles animals as a Valentine. It’s the next best thing to going to the zoo. Simply attach an animal to a Valentine’s Day card. Will Zoo Be Mine? Vroom! Vroom! 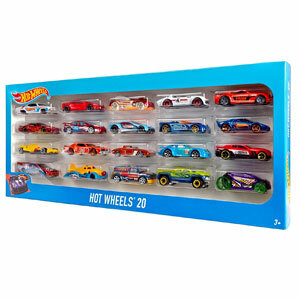 Simply attach one of these Hot Wheels Cars to a card or throw it in a goodie bag with other treats. It’s sure to makes any car lover’s heart race. Lollipops are cool but lollipops that can save the world are even cooler. 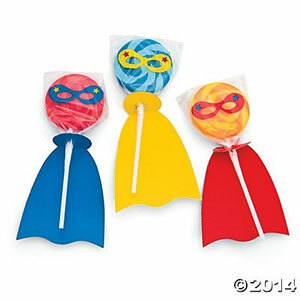 The lollipops come with little cardboard capes that you can put on them. They are sure to be a fly away success. 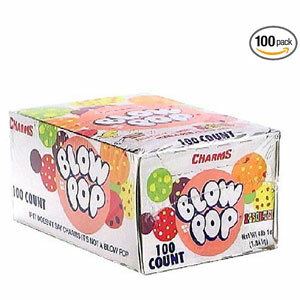 What could be better than Blow Pops with gum in them? With a variety of flavors, this bag contains 2 pounds of delicious lollipops that make the perfect Valentine treat. Even kids love receiving rings on Valentine’s Day- candy rings! Made out of candy, these ring pops are more precious than a diamond for kids. 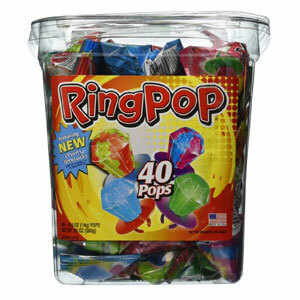 With different flavors and colors, this set includes 40 ring pops. Once kids put them on their fingers, they will be married to them for the rest of the day. Who doesn’t love receving Smarties on Valentine’s Day? You can get the regular ones or get the giant ones for a special treat. 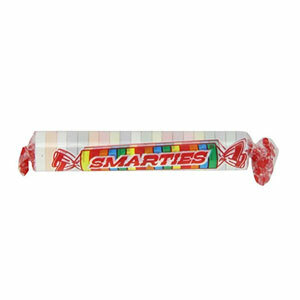 They are the same Smarties that everybody loves in a giant 5 inch roll. Everybody loves eating chips. These small sized snack bags are the perfect treat on Valentine’s Day. 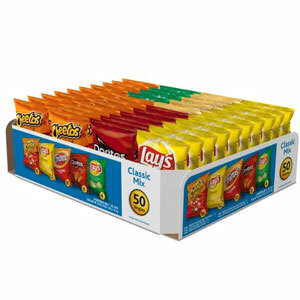 With 50 different bags, there are a ton of flavors from Doritos to Cheetos. These snack sized packets of Goldfish crackers are the perfect size for handing out as Valentines. With 30 bags, this snack pack includes 3 fun flavors. 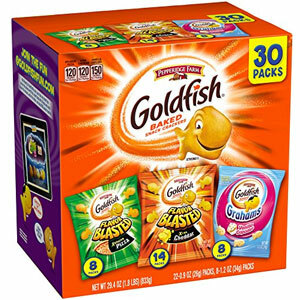 You can get everything from pizza flavored goldfish to vanilla cupcake flavored goldfish. Candy is super popular on Valentine’s Day. There are a ton of different candy valentines that kids can exchange on Valentine’s Day from Star War themed candy to Shopkins themed candy. This one includes Shopkins shaped fruit candies but there are a ton of others to choose from. All we need is love but something sweet never hurts on Valentine’s Day. A small box of chocolates and a card is the perfect gift. From chocolate to heart shaped shaped candy, here are some wonderful Valentine’s Day gifts for kids. Is it possible to make Oreo cookies taste even better? What if you dunked them in creamy chocolate? 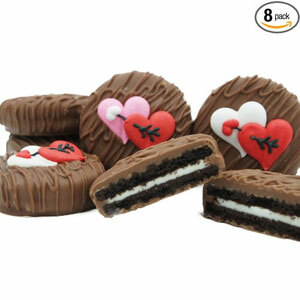 With a crisp Oreo cookie underneath and a heart design, these gourmet chocolate covered Oreos are the perfect Valentine’s Day treat for kids. These aren’t your ordinary bite sized pretzels. 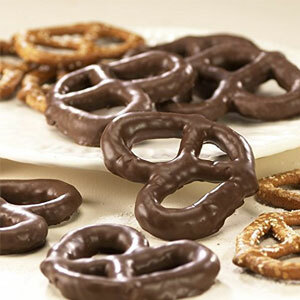 Available in many different flavors, the gourmet pretzels are dipped in chocolate and covered with fun toppings like M&Ms. With each order you get about a dozen 3 inch pretzels. Who wouldn’t love gourmet cookies? With smooth and creamy chocolate chunks, these freshly baked moist and buttery cookies taste like they just came out of the oven. 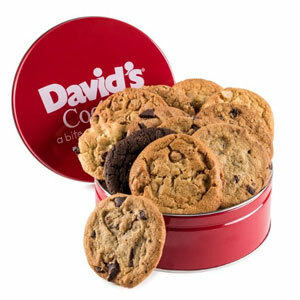 Soft and crumbly, each cookie is a yummy treat. Who wouldn’t love a kiss on Valentine’s Day? That is a Hershey Kiss. These bite little drops of chocolate are basically the official candy of Valentine’s Day. The little foil wrapping ensure that all of the chocolate goes in your mouth and doesn’t get on your hands. What’s better than a KISS? A giant KISS. 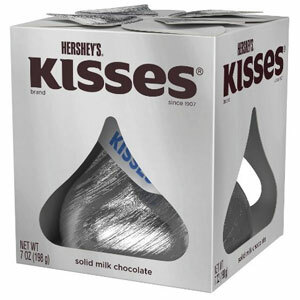 Skip the regular Hershey kisses this year and give your child a Giant Hershey Kiss. 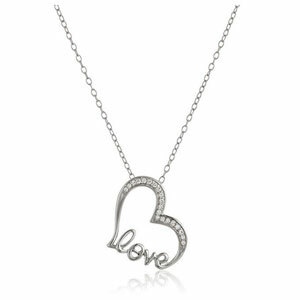 It’s the perfect way to show your love for your sweetheart. Who wouldn’t love a Hershey bar? 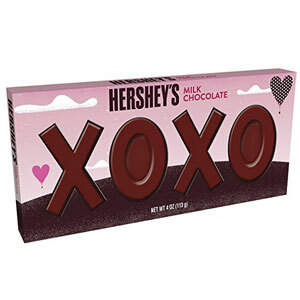 With the same chocolately creamy goodness of a regular Hershey bar, this chocolate bar is styled into XOXO shapes, which is a symbol for love. Your Hershey lover is sure to shower you with a ton of hugs and kisses. 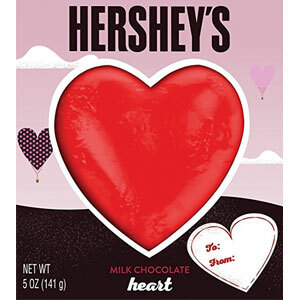 Shaped like a heart, your child won’t be able to wait to bite into this Hershey bar. The packaging makes it the perfect gift to put in a goody basket. Made out of plain Hershey chocolate, it tastes just like a regular Hershey bar, but the heart design makes it extra special. This game is a lot of fun and gross at the same time. Inside it contains regular flavored jelly beans and yucky flavored jelly beans. Kids spin the color wheel and have to pick up the appropriate colored jelly bean. The only problem? They don’t know if the jelly bean will taste good or they will have to spit it out. 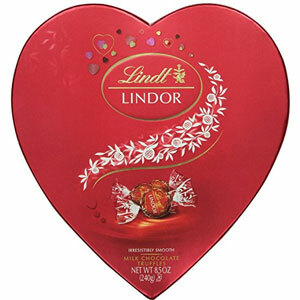 Lindt Lindor Truffles are the perfect treat on Valentine’s. Lindt makes a couple of different flavors that come in different wrappers. This is their Valentine mix. These delicious truffle balls have a creamy white chocolate interior and crispy milk chocolate shell. It’s too bad they probably won’t last past Valentine’s Day. 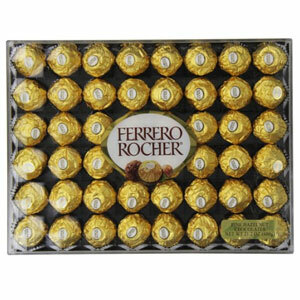 There is nothing better to receive on Valentine’s Day than a box of Ferrero Rocher Truffles. This delicious truffle is filled with a creamy ganache with a crispy wafer exterior that is coated with wonderful tasting chocolate. Inside each heavenly truffle is a hazelnut. 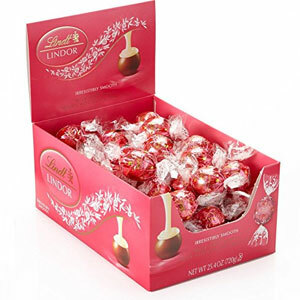 Who doesn’t love Lindt Lindor chocolates? These delicious creamy truffles come is a heart shaped box, which is perfect for gift giving on Valentine’s Day. The only problem? They will be gone before you know it. 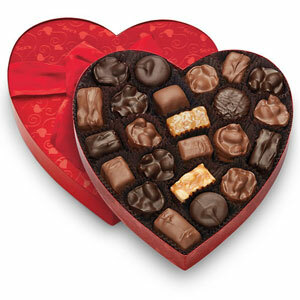 There is nothing like getting a delicious heart shaped box of chocolates on Valentine’s Day. With fresh nut and chewy fillings inside, See’s Candies Nuts & Chews are a decadent treat. If you are going to treat your kids Valentine’s Day, this smooth and delicious chocolate is the perfect way to show your love. It’s super fun to dress up on Valentine’s Day. Make this Valentine’s Day special with these fashionable Valentine gift ideas for kids. Even your little man can get all dressed up on Valentine’s day. 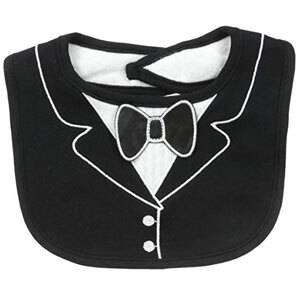 This bib will not only make him look handsome, but it will keep drool and spills off his outfit underneath. The best part? Everybody will think he is wearing a tuxedo. Who is the most eligible bachelor? It’s your little guy! 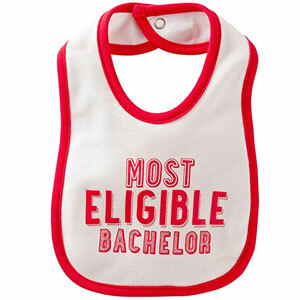 This adorable bib is the perfect gift for your child’s first Valentine’s Day. Everybody will want to take pictures with your little hunk. Your little one will look like a mini ballerina with this adorable tutu. With a beautiful heart design and frilly tutu skirt, this versatile tutu can be worn not just on Valentine’s Day but at any formal occasion. It’s the perfect gift for the little diva in your life. Is your little one celebrating Valentine’s Day? Then he will look adorable in the impossibly cute onesie. 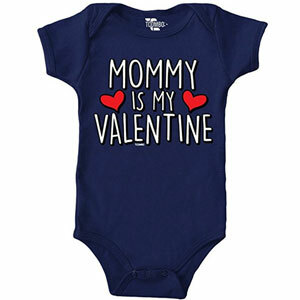 Available in several sizes from newborn to 24 months, this cotton onesie says “Mommy Is My Valentine” across the front. Could anything be more adorable? Your little baby boy will look adorable in this cute tie and suspenders outfit. 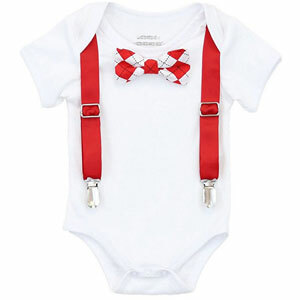 Made of 100% cotton and available in several sizes, the outfit features a bow tie and suspenders that can easily be snapped on an off. 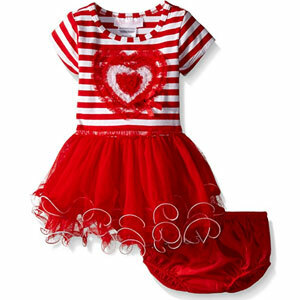 Your little one will is sure to get a ton of complements on Valentine’s Day. With this pajama set from Bluenido, your little girl will be begging you to go to a slumber party. Made of 100% cotton, these pajamas are the perfect alternative to candy. The cute heart design is perfect for wearing on Valentine’s Day. All her BFFs will love it just as much as her. Who said on Valentine’s Day that only adults have to get dressed up? 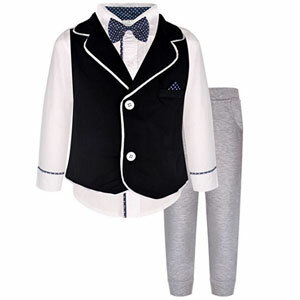 Little boys will look so cute in this 4 piece tuxedo outfit. Available in multiple sizes for boys 2 – 5 years old, it comes with a button up shirt, bow tie, vest, and gray pants. The only problem? Everybody will want to be his date! Available in several colors and sizes, these comfortable and cute flats with a flowery design are the perfect complement for any Valentine outfit. With an adjustable strap, they have a beautiful shimmer that make them easy to dress up. The only problem? She will want to wear them with all her outfits. Bubble umbrellas are not only cute, but they keep you dry in the wettest storms. The bubble design surrounds your body. The coolest part? Because the umbrella is clear, you can see where you are going even when it is gloomy outside. 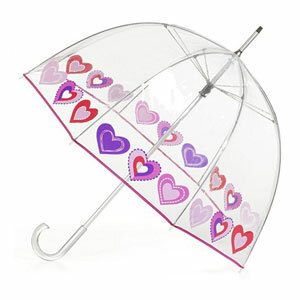 This fashionable bubble umbrella from Totes features a cute heart design. With the rainy season almost here, these adorable boots will keep her feet dry throughout the season. Available in several sizes and made out of 100% rubber, they are the perfect Valentine’s gift. 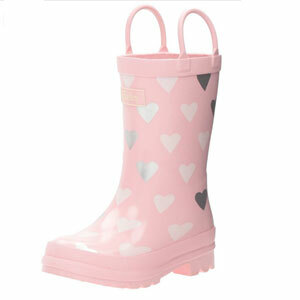 With heart designs on them, they are perfect way to say “I love you.” Her dry feet will love you too. 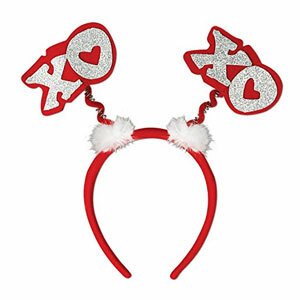 What better way to celebrate Valentine’s Day than with a glittery party headband? Put it on your dog’s head or your child’s head and they are sure to be the hit of the party. Plus, it makes for some awesome Valentine photos. Who doesn’t love the sun? 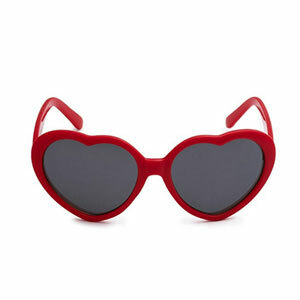 Available in several bright colors, these heart shaped sun glasses are perfect for sporting on Valentine’s Day, but can be worn just about any day. It’s the perfect way to show your love for the sun. Plus, they make for some cute Valentine photos. Who wouldn’t love a tote bag with hearts on it? 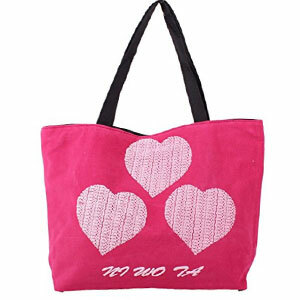 Made of canvas, this super cute pink tote bag with white hearts on it is the perfect gift. Your little girl will fall in love with it when she takes it on sleepovers or to the mall. For girls what could be cooler than getting a large set of nail polishes on Valentine’s Day. 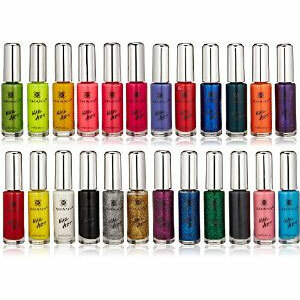 With a wonderful array of colors, this set includes 24 bottles. The brushes have fine tips, which makes them perfect for doing all sorts of nail art. Looking for Valentine’s Day gifts for girls? Jewelry is not just for adults. From heart shaped pendants to rings, a simple piece of jewelry is the perfect way to show girls how special they are. This beautiful musical jewelry box from Lennox is the perfect place for her to stash all her jewelry. Made out of sturdy metal, it has plenty of room for all her little treasures. With a pretty heart design on outside and a dancing ballerina inside, this is the perfect Valentine’s gift for little girls. 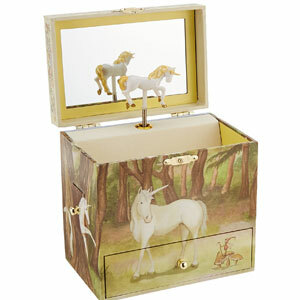 Unicorn lovers will love this jewelry box that is decorated with unicorns. 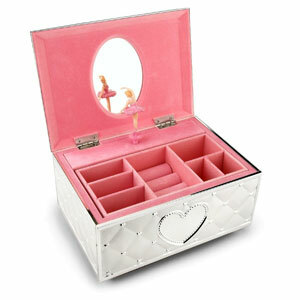 With four drawers to choose from, she will have a fun time choosing where to place her small collection of jewelry. The velvety lining inside protects her treasures. 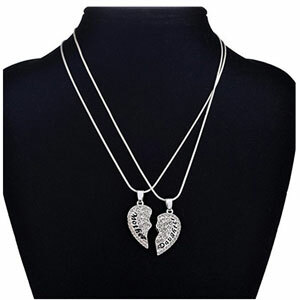 Valentine’s Day is all about love and what better way to show your love than with a heart shaped necklace. This mother daughter necklace is the perfect gift. There are two separate pieces that both of you can wear when you are apart. The coolest part? Both pieces of the heart are magnetic so when you bring them close, they stick together. Valentine’s Day is the perfect day to remind her how much you love her. 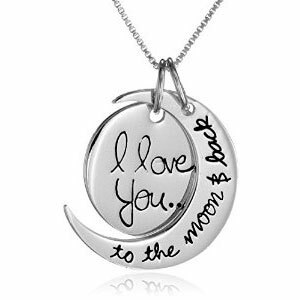 Your daughter will know every time she puts on this sterling silver necklace with the words “I Love You To The Moon & Back.” The chain is 18 inches and the two piece moon pendant hangs from it. Reminiscent of conversational heart candy, this fun piece of jewelry will complement her Valentine’s day outfit. With several fun unique sayings, it’s the closest thing to wearing candy around your neck. Does she love Hello Kitty? 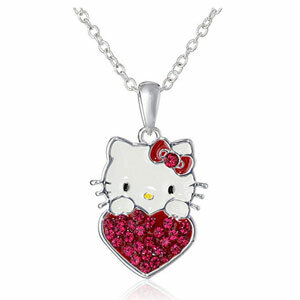 She’s get a smile out of this cute Hello Kitty pendant that shows off her birthstone. About the size of a nickel, the heart shaped Hello Kitty charm can be customized with her birthstone. Who wouldn’t want to wear a heart necklace? Made out of sterling silver and cubic zirconium stones, this simple heart shaped pendent beautifully conveys a message of love. The best part? This timeless pendant can be worn during any occasion through the year. 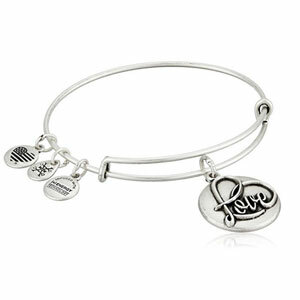 Alex and Ani charm bracelets are extremely popular. 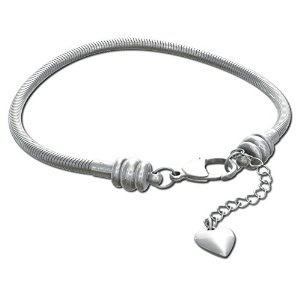 Celebrate your love for your daughter on Valentine’s Day with this beautiful charm bracelet. With a beautiful love charm, this charm bracelet will let her know how much you love her. She won’t want to leave the house without it. 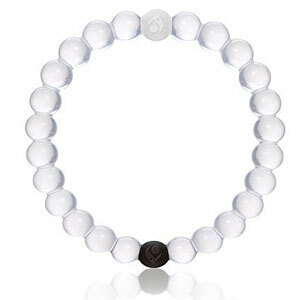 Everybody has gone crazy over the Lokai bracelet. Even kids will fall in love with the message of this bracelet that reminds us to always remain balanced. The silicone bracelet contains water from Mount Everest and mud from the Dead Sea, which are the highest and lowest points on Earth. The best part? Lokai donates proceeds to many charitable organizations. Let her start her own charm bracelet on Valentine’s Day. 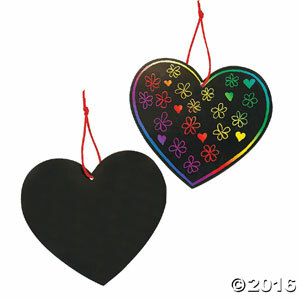 You can even throw in a heart charm to make this gift even more special. It’s a gift that keeps on giving. She can easily add her favorite charms to it on any special occasion. 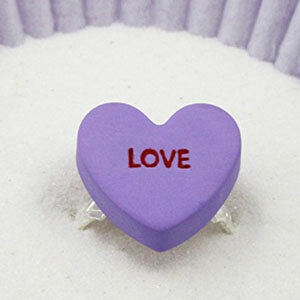 Who wouldn’t want a candy heart ring on Valentine’s Day? You can customize everything from the color to the saying to make it the perfect gift for your sweetheart. The ring size is adjustable so it can be open and closed to fit just about any finger. Even kids would love a ring on Valentine’s Day. This is not just any ring. 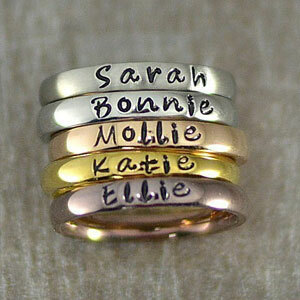 Not only can it be stacked with other rings, it can be personalized with her name on it. She will be married to it. This listing only includes one ring. Looking for easy Valentine crafts for kids? Making a brand new crafts project might be the best way to spend the day. Stickers, coloring books, and crayons are tons of fun, but here are even more ideas. Searching for a special gift this V-day? 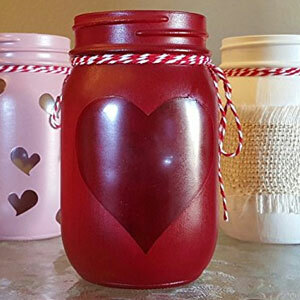 Try these beautiful handmade Valentine’s mason jars. The jars are available individually or as a set. The pint-sized jars measure 5.2″ h x 3.2″ diameter. These make a perfect gift for V-day and can be used for a variety of uses, including serving as a decorative vase for flowers. 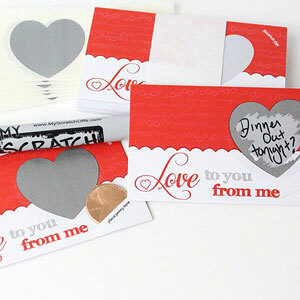 Want a creative way to send your Valentine’s message? Create and share your love messages with your loved ones with LoveNotes. It’s like a lottery ticket with a scratch off portion that reveals your personalized and heartfelt message. Perfect for kids! 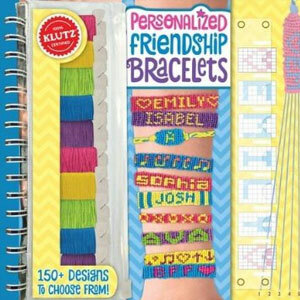 These personalized friendship bracelets are a creative and awesome way to celebrate V-day. Choose from over 150 designs! Includes a 58-page interactive journal. Intuitive punch-out design makes it easy to personalize your message. Once you master the techniques, the creative possibilities are virtually endless. The set is suitable for ages 10 and older. Love coloring? 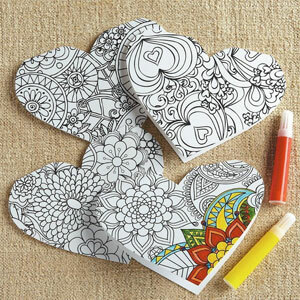 Then you will love these heart-shaped coloring cards. Showcase your artistic skills and make a big splash with your loved ones. Wish your loved ones a Happy Valentine’s Day with a special, personalized greeting card. The card has beautiful sentiments written inside for the special one in your life. If you’re the creative type who loves arts and crafts, you may love these Make Your Own Cards. It’s a great way to get creative and crafty with your kids for V-day and other special ocassions. With over 500 pop-out shapes, it’s easy to create the perfect handmade card. It’s a cute set that includes everything you need to make your own cards. The set is suitable for children 4 – 6. Ever dreamt of creating your own book? 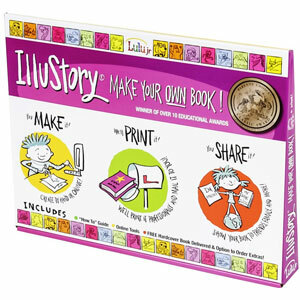 With the Lulu Jr Illustory craft kit you can actually create your own professional book. You either create it by hand or online. The company professionally prints it and sends it to you. Then you can share your masterpiece with your friends and family. This is a wonderful gift idea to foster creativity. Does your child love coloring? 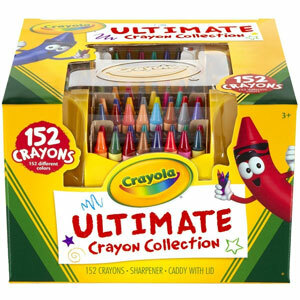 Own the ultimate crayon collection from Crayola. 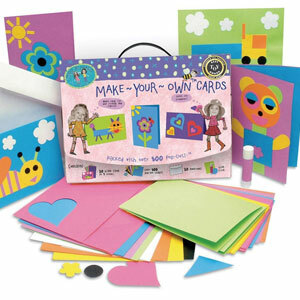 This set features over 150 unique colors that bring your child’s artwork to life. Glitter and metallic colors are included in the set to add extra pizzazz. The set includes convenient storage for the crayons and a sharpener. A great gift for creative fun! 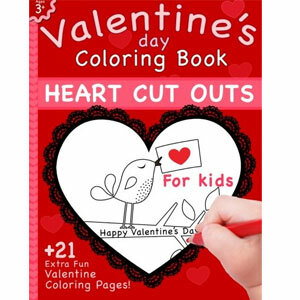 If your kids love coloring, then this Valentine’s Day Coloring Book may be perfect for them. This will get them in the spirit of V-Day. It’s a 21-page Valentine-themed coloring book designed for kids. It’s all about having fun and bringing these hearts to life. Does your child love Minecraft? 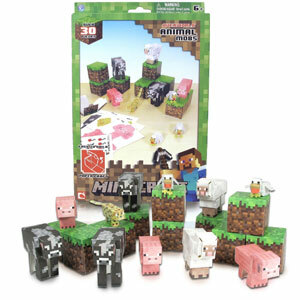 If so, they’ll love these papercraft animal mob sets. Kids can build all sorts of animal characters from the Minecraft universe from pigs and cows to chicken and sheep and more! They are fun to assemble and offer great quality and durability. 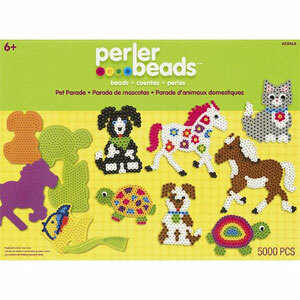 This Pet Parade gift box is essentially for having fun with beads. It’s an arts and crafts set, featuring 5,000 beads and 5 pegboards. Kids are encouraged to get creative and create their favorite pets with these fusible beads. The kit offers hours creative fun for ages 6- 10. 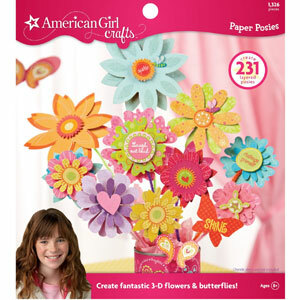 Get fancy this V-day with American Girl Crafts Paper Poises Pad! Kids ages 8 and older can create fantastic 3D flowers and butterflies. Let your creativity run wild with over 1,300 pieces for a ton of projects. Step by step instructions are included. This set inspires girls to tap into their creativity and develops their creative thinking skills. Girls can express their creativity and artistic abilities with this stylish heart bag. Using the 5 fabric markers, girls can customize the heart bag to match your personal style. As a special bonus, you get a trendy bracelet which can be worn. It’s time to get color crazy! Give a gift from the heart. This is a fun crafting project for young kids. 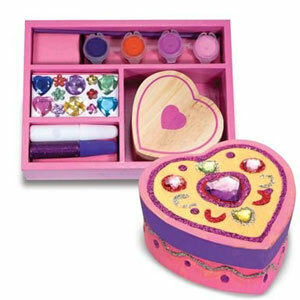 Kids can decorate their very own wooden heart chest. It is not only a chest but also a great keepsake to remember the memories. The art supplies are washable and safe for kids. Make your own Valentine gift baskets for kids! Choose all your child’s favorite treats and give it to them for V-day. 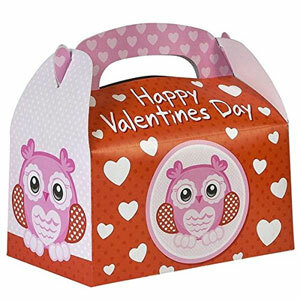 Pack contains set of 12 Valentine-themed treat boxes. Perfect for cookies and other small goodies. These little food plushies are a lot of fun to stitch and stuff. 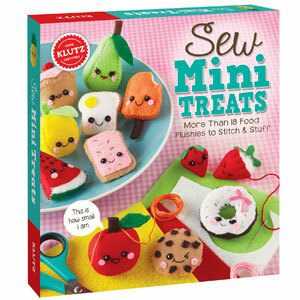 Even kids who have never stitched before can learn to use needle and thread to create these adorable plush treats. 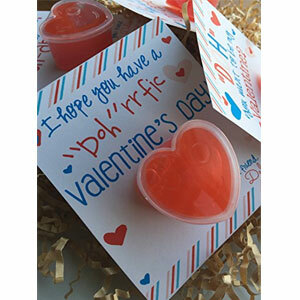 Instead of handing out candy, kids can easily hand out their creations as Valentine treats. The bedroom is a place where kids can express themselves. Look for Valentine themed decor items that can help them personalize their room and show off their interests. Made with super soft Mongolian faux fur, the OJIA makes a great gift. 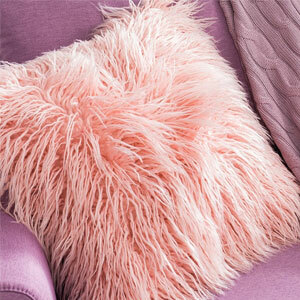 It adds a decorative touch of style to your home and you can’t help but get a cozy feeling from this throw cover. People love it because it is high quality, soft, fluffy, and beautiful. Let your kids rest and relax with this microbead pillow. 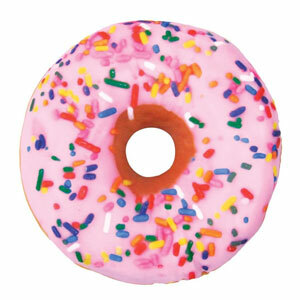 This donut shaped pillow looks like a yummy doughnut glazed with pink glaze and dressed with colorful sprinkles. It’s fun and comfortable and makes a great gift. This is a unique and funny gift that can be used to surprise a loved one on V-day. 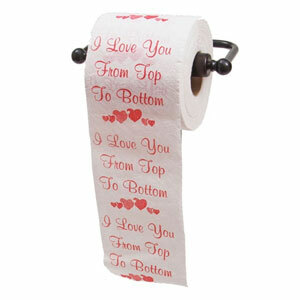 Swap out the toilet paper with this special roll that says: “I Love You from Top to Bottom”. The package includes 1 special 2-ply roll. It’s priceless to wait and see the response of your loved one once the swap is complete. These are extremely fun blankets that kids will enjoy. It will keep them warm and cozy. Your kids climb in and it looks like they are being devoured by a giant shark. Their feet fit inside the tail. 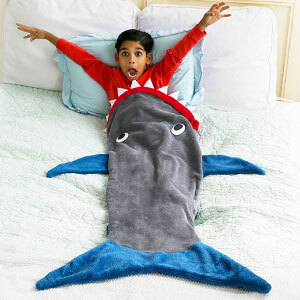 These shark blankets are machine washable and they make a great gift. Does your child wish they could start saving? Get them this beautifully hand-crafted and painted ceramic piggy bank. 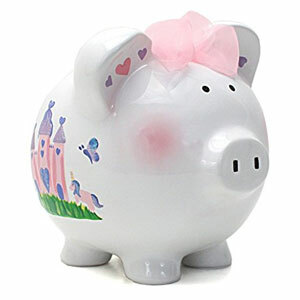 A princess castle is painted on the side of the piggy bank. It is made of high quality porcelain. The coin slot is on the top with a rubber stopper on the bottom. It’s an adorable gift for a little princess. Does your girl love cooking? 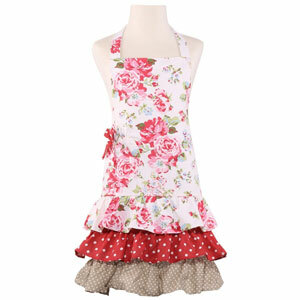 This beautiful royal blossom roses kitchen apron would make a perfect gift for V-day. The apron is made of high quality and it’s durable. They are not too big nor too small. They even have pockets and ruffles. They are adorable, feminine, and practical. 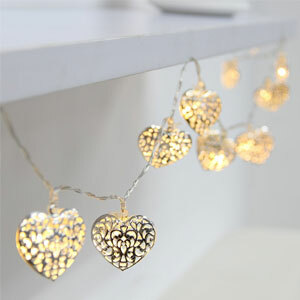 This set of 20 LED silver heart-shaped lights looks beautiful and lovely. It is an amazing decoration for V-day that add will add a nice touch of charm to your celebration. The lights can be in steady or twinkling modes. They are suitable for indoor and outdoor use. Kids love emojis. Why not get them an emoji showing how much you love them? This emoji is of a throwing kiss. It will serve as something to remember the moment plus they can use it as a comfy pillow. Kids will love it as it is so soft and adorable. Give your loved ones something to preserve their memories with a gift that keeps on giving. 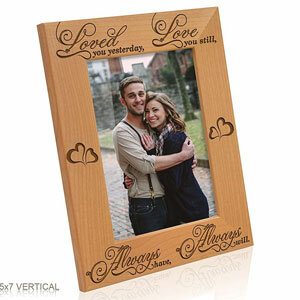 It’s a lovely picture frame that professes your everlasting love for your loved one. It features a beautiful, decorative engraving: ‘Loved you yesterday, Love you still, Always have, Always will” with hearts engraved in the middle. The frames can be wall-mounted or placed on a tabletop. The frame is beautiful, heavy duty, and made of high quality. This is no ordinary backpack. This backpack is colorful, fun, and customizable. 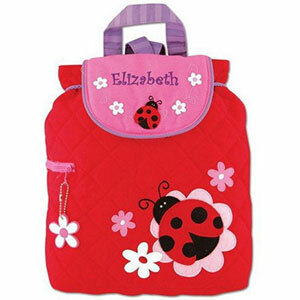 You can personalize it with your child’s name to give it that special touch. The backpack is available in a variety of styles and colors to fit your specific needs. Choose one that best fits your loved ones preferences. Yes, we know mom taught you to not play with your food. But this is the exception. 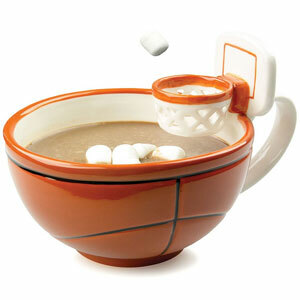 You just can’t help but take a marshmallow or cereal for a slam dunk. The mug is well-designed and looks fantastic. Plus, the ceramic is dishwasher safe. 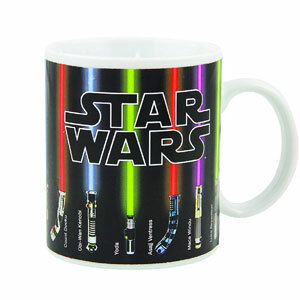 The Star Wars: The Force Awakens Lightsaber Coffee Mug is the perfect gift for any Star Wars fan. When you place hot liquids inside the mug, it instantly transforms with the lightsabers magically appearing before your very eyes. When a cold liquid is in the mug, the sabers disappear. This special mug is not microwave or dishwasher safe. May the Force be with you! 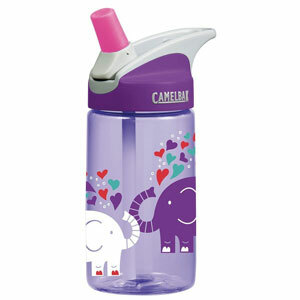 Designed for children 3 – 8, the CamelBack eddy Kids water bottle is great to keep your kids happy wherever you travel. There are a large assortment of colors and styles to choose from. It features a spill-resistant design and a big bite fast flowing valve. This water bottle is durable, dishwasher safe and BPA free. Girls love anything that makes their room smell great. This is no ordinary candle. 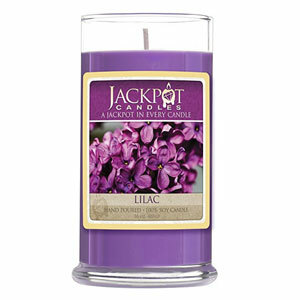 Not only does it have a pleasant lilac smell, it has a surprise ring inside. No matter what the occasion, books are always a great gift to give. These Valentine themed books are the perfect gift to read on this special day. 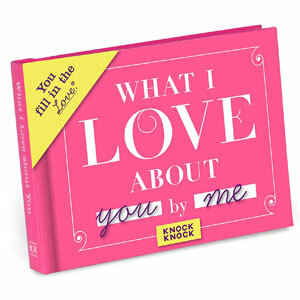 This cute and thoughtful gift allows you to capture your thoughts and feelings about a loved one in your life. It’s a wonderful way to express your thoughts. You simply fill in the blanks to complete the phrases. It really is an adorable tiny book of love. It will allow you to easily come up with hundreds of ways your kid rocks. Llama Llama is perfect for babies and toddlers as it introduces them to short and simple rhyming words. The small size and durable pages are perfect for little kids’ hands. 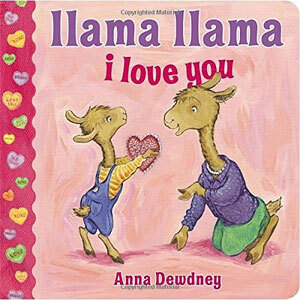 The llama in the story shows his family and friends how much he loves them with hugs and cards. It teaches the power of sharing love and making your own gifts. Celebrate love with New York Time’s #1 bestseller. 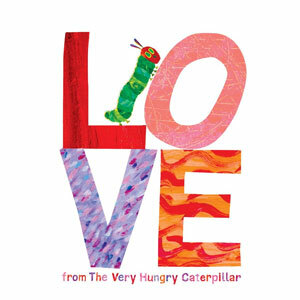 Leveraging the power of illustration and the Caterpillar character, Carle expresses how someone special makes the world a better place. Perfect for that special someone in your life! 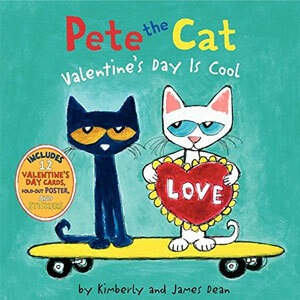 Pete the Cat doesn’t believe Valentine’s Day is cool until he discovers how special it really is! Join Pete on this Valentine’s Day adventure full of Valentine cards, stickers and a fold-out poster. The book is targeted to 4 – 8-year-old kids. How much mischief can one little monkey get into? 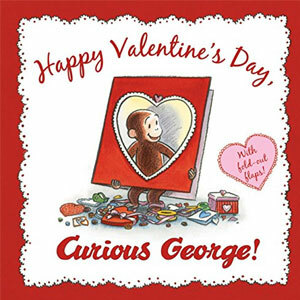 Celebrate V-Day with George and his friends as they decorate, bake, and make cards. Perfect for the Curious George fan! It’s a cute and fun read for Valentine’s Day. It’s an engaging book for children ages 4 – 7. How many kisses does a tired baby need? This delightful and charming book will become a go-to for bedtime stories. Everything about the book says snuggle and it will captivate you to send off some kisses of your own. It truly is a wonderful book worth sharing with your children ages 1 – 5. 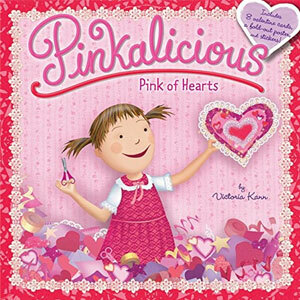 Pinkalicious is a beautiful book with a sweet message. Everyone in Pinkalicious’ class has an assignment to make a special card for one person in her class. Pinkalicious creates a magnificent card. Will her card be as great? She learns the importance of creating something from the heart among other important lessons. 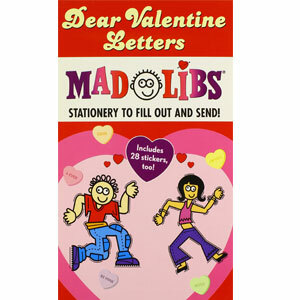 Mad Libs makes it easy for kids to send Valentines. Simply fill in the blanks and add stickers if you’d like. Kids will love making funny stories. It’s a great class activity and will bring a ton of laughs! Get the family together with one of these fun Valentine’s movies for kids that are sure to create lasting memories. Throw in some popcorn and a treat bag to make it an even more special gift. 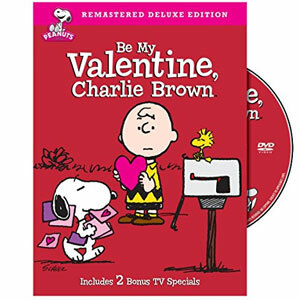 In this remastered edition of Be My Valentine, Charlie Brown on DVD, it captures the essence of Charlie Brown while adding two special bonus TV specials and a bonus featurette, making it extra special. This Deluxe Edition focuses on matters of the heart. Will Schroeder notice Lucy? Will Linus find a Valentine’s gift for his teacher? Will Charlie Brown approach the Little Red-Haired Girl? Beauty and the Beast is the perfect Disney classic tale for kids and families. 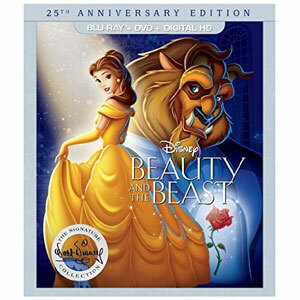 Experience Beauty and the Beast: 25th Anniversary Edition like never before on blu-ray. Set includes Blu-Ray, DVD, and Digital HD copy. It has been hailed as one of Disney’s finest animated features and now it makes its way to the Signature Collection. Belle embarks on a journey to rescue her father only to find herself in an enchanted castle of the beast. It features memorable characters and Academy Award- winning music that audiences are sure to love. 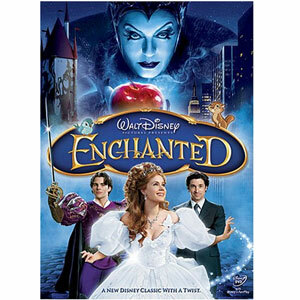 Enchanted is clever idea for a movie. The movie, starring Amy Adams as Princess Giselle, meshes an animated world with real-live action. The movie also interweaves the worlds of Cinderella, Snow White, and Sleeping Beauty into the story. The pressing question remains whether a storybook perspective of romance can work in the real world. It’s a great movie for the entire family to enjoy. The Parent Trap stars Lindsey Lohan in her theatrical debut. This special edition features bonus material that has not been released before. Identical twins attempt to get their parents back together and have the family they always dreamed of. 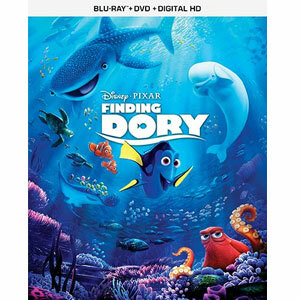 Finding Dory is a charming tale of Dory, who recalls her family may be searching for her. So Dory, Nemo, and Marlin go on an amazing journey in search of them. It’s an epic underwater adventure with memorable character, humor, and heart. 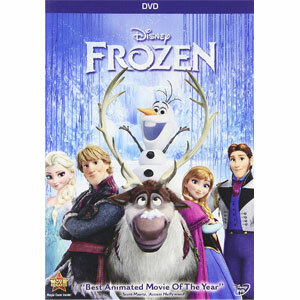 Frozen was honored with the title of ‘Best Animated Movie of the Year’ when it first released in 2014. If you haven’t experienced Frozen, discover what you’ve been missing. The story chronicles Anna’s race to find Elsa, her sister. Elsa’s powers have kept the kingdom in an eternal winter state. 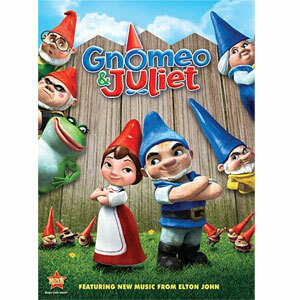 Gnomeo & Juliet is a fresh and funny makeover of the tale of Romeo & Juliet. They get caught up in feuds with neighbors and must overcome many obstacles. Can this couple discover happiness? Perfect fun for the entire family! Who doesn’t love something you can cuddle? During this time of the year, you can find some great Valentine’s themed stuffed animals. 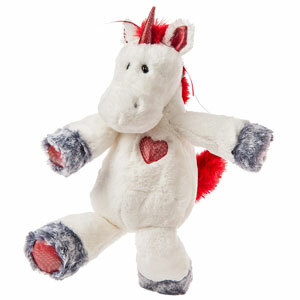 Kids will love these warm and cuddly toys that they can cuddle anytime they need a hug. What better way to celebrate Valentine’s than with a personalized Be Mine Snuggle Bear? 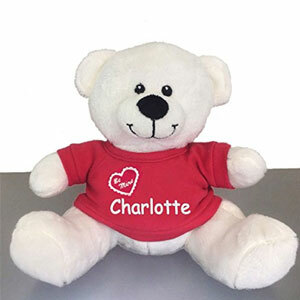 You can customize this adorably cute snuggle bear with your child’s name. Their name will be embroidered on the bear’s t-shirt. It’s a great way of showing how much you love your loved one. 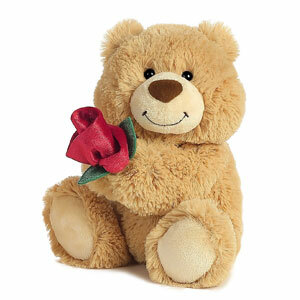 Awww, such a cute, cuddly, plush teddy bear holding a beautiful red Valentine’s rose. It measure 10-inches tall and it’s super soft to the touch. The plump design makes you naturally just want to go in for a big bear hug. Makes a wonderful gift for Valentine’s. 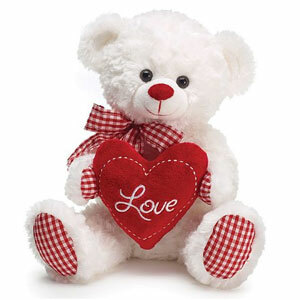 Show your loved one you care this Valentine’s with this beautiful Gingham Love Bear. People love this bear holding the red Love heart. It’s irresistably cute. It’s a perfect gift for a young child or even an adult. 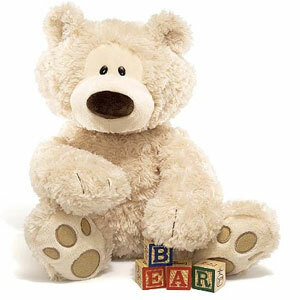 The Philbin Teddy Bear is one of the top sellers because it is so cute with paw pad accents and soft, huggable plush. You simply can’t resist that curious look on his face and the soft, high-quality materials. You can’t resist hugging this lovable teddy bear. This little critter is too cute. It really is so ‘Stinkin’ Cute’! 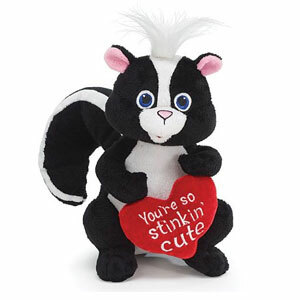 The skunk is beautifully designed holding a red heart with the message: “You’re so stinkin’ cute.” It’s great for kids, grandkids, and others who love cute stuffed animals. This plush animal is cute and it’s made of high quality materials. There are a ton of Ty Beanie Boo characters to collect and choose from. They are adorable and cute little critters that kids will absolutely love. Select from a wide assortment from dogs, cats, pigs, and more! You get such great quality for an affordable price. Build your collection today! My Pillow Pets were all the rage not too long ago. Have you met the Luv Pup? 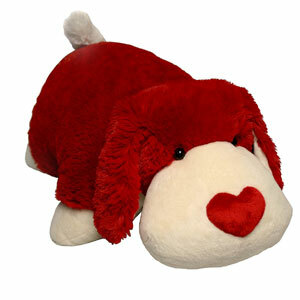 The Luv Pup features a red heart-shaped nose and is red and beige. He is so snuggly soft that you just want to cuddle it. Don’t forget this pup transforms into a super comfy pillow! Give the gift that keeps on giving. 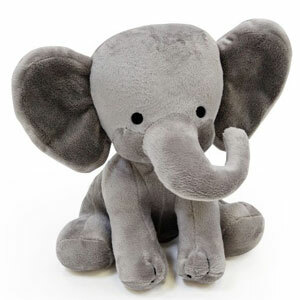 Humphrey the elephant is well-crafted and looks like a cute little elephant. Anyone who loves elephants will love this adorable elephant. Humphrey has big ears like Dumbo. The eyes are made of cotton so it’s safe for younger children also. Humphrey is good quality, adorably cute, and it is posed in a sitting stance. Looking for the perfect companion for your little girl? Look no further than the Sugar N Spice Doll. The doll is interactive, full of character, and it can be quite comforting. Don’t say we didn’t say that your child could become attached. The plush doll serves double duty as a security blanket. 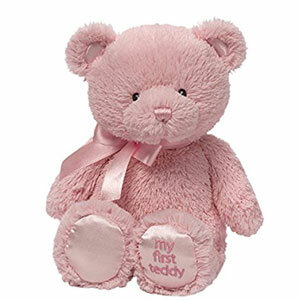 This all-pink 10-inch First Teddy Bear from Gund is a real cutie pie. Gund is known for their craftsmanship and high quality stuffed animals. This is a great teddy bear for all ages. It’s super cute, adorable, and super soft with a beautiful pink ribbon and satin accents. The eyes and nose are embroidered with fabric so it’s even safe for newborns. Instead of giving a typical teddy bear for Valentine’s why not mix things up with something a little different. Meet Marshmallow Fantasy Unicorn. It’s not your typical teddy bear. It’s a soft, cuddly, unicorn with a red mesh heart on its chest. Mashmallow is adorably cute and it’s a great way of showing your love. Show your loved one how much you love them with this giant 5-foot pink teddy bear from Yesbears. Crafted with microfiber materials, the Yesbear provides that ultra smooth and huggable experience that is simply unrivaled. The bow tie is removable and adds a nice touch to the teddy bear. It also features paw print accents under the paws. This proves that bigger is always better! For kids that can’t consume another ounce of sugar, a toy is the perfect gift. The best part? It’s missing the sugar. Got a Shopkins lover? Add the Shopkins Sweetheart set to their collection. 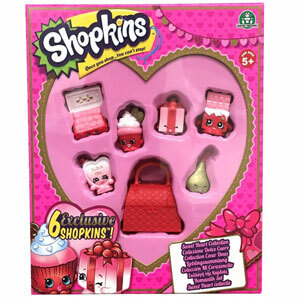 This set includes 6 exclusive Shopkins and a Valentine’s Bag! 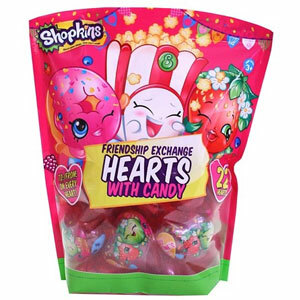 These are cute and make a sweet Valentine’s surprise for Shopkins fans. Meet Valentine Sweetie Barbie. She wears a pretty Valentine’s themed dress with heart prints. This is perfect for gift for Valentine’s Day. Behold the fashion of C.A. Cupid, daughter of Eros from Mt. Olympus. Her face and outfit are absolutely beautiful and she looks magestic. Girls will fall in love with this adorably cute doll. She wears a Grecian-inspired dress fully accessoried that looks simply spellbinding. She is equipped with a bow and arrow and is accessorized with full feather wings. Help her write her Happily Ever After tale. 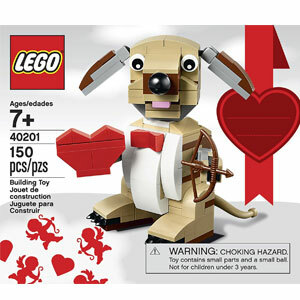 This LEGO cupid dog is absolutely adorable and makes a great gift. This cute dog stands 3-inches tall, features posable arms, and a rotating head. It holds a heart and a bow and arrow in its hands. It is easy to build and creates a good model of a cupid dog that is like a toy with movable parts. Great gift for sons or daughters. Looks can be deceiving. 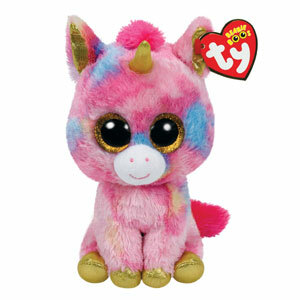 It looks like a cute unicorn but it’s actually a squeezably soft foam shooter. 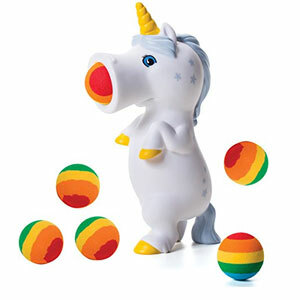 By squeezing the unicorn, it can shoot soft foam balls up to 20 feet. It’s safe for indoor and outdoor play. The Unicorn Popper makes a novel gift for kids. It’s fun for all ages! This seriously is the cutest gift ever. 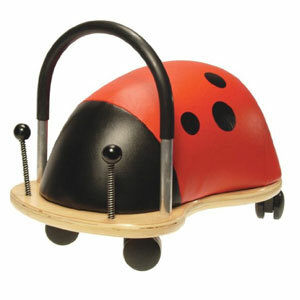 Young kids will love riding this wheeled ladybug. Its colorful design is appealing to kids, it’s easy and comfortable to ride, and it’s made of durable, high-quality materials. Did we mention that they are so fun to ride? In case you didn’t know – Hatchimals are the latest toy craze! Hatchimals were sold out everywhere for Christmas. Kids who got them loved them because a magical creature hatches out of the egg. You have to hatch them, play with them, and raise them with good ol’ tender loving care. Hatchimals are colorful and cute and kids will love them. In need of some supercharged action? Aim at your target with pinpoint accuracy with the Zing Air Hunterz Z-Curve Bow. The bow is designed with safety in mind so parents need not worry. 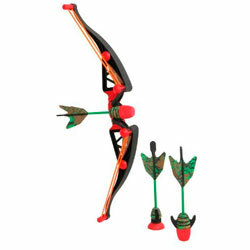 The suction cup arrows stick to virtually anything and can travel over 125 feet! You can play the role of Cupid for Valentine’s Day. Take a walk on the wild side. Get ready for some extreme backyard adventures with Slackers Slackline. 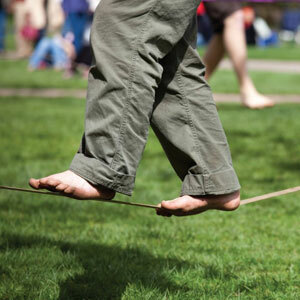 The set includes a 50-foot slackline that is perfect for strengthening your core and honing balancing skills. It’s great for beginners and it’s easy to setup. So what are you waiting for? If your kid loves Batman, they will love these LEGO Batman Movie Minifigures. 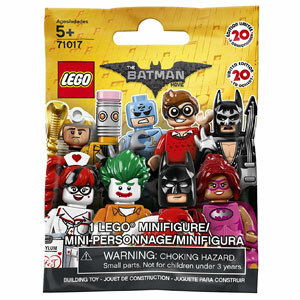 1 Batman Minifigure is included in each mystery pack. Kids can use these with Lego playsets for the ultimate fun. Looking for Valentine’s Day gifts for boys or girls? Valentine’s Day wouldn’t be complete without games. Of course, kids are going to love video games but there are some board games to that will get the whole family playing together. Pie Face is made a big splash in the world of board games. It’s hilarious fun for the entire family. 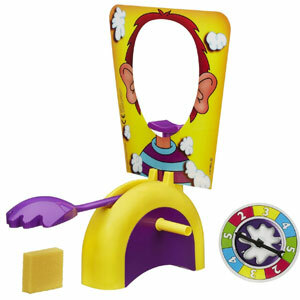 One player places their head in the mask and waits in suspense to see if they get a pie slammed in their face. As players turn the handles, there could be a surprise waiting in store. There’s nothing more exciting than seeing a family or friend’s face full of whipped cream. The Adventure Time theme of Love Letter is solid and fans will really love it. 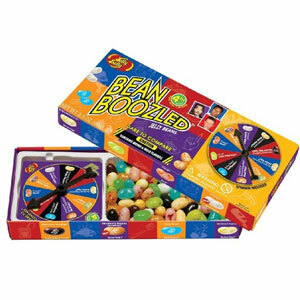 It’s really a fun game and makes a great party game. It’s a game of risk, deduction, and you’ll need a bit of luck, too! The game can be played by 2-4 players and game times last about 20 minutes. If you’ve played other versions, it’s worth trying as there a few twists. 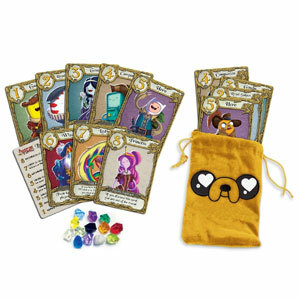 In this game of love, you’ll be competing for a date with Princess Bubblegum. 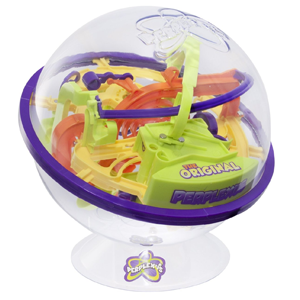 Challenge your mind and put your skills to the test with the original Perplexus. Peer inside the incredible 3D maze. Featuring 100 obstacles and 22-feet worth of track — will you be able to navigate the marble ball through the maze to the finish line? It’s one of those puzzle games that is easy to use but difficult to master. 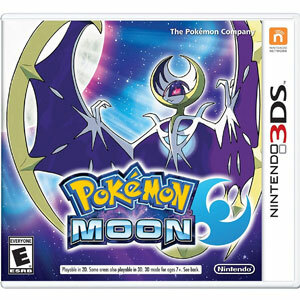 If your kid loves Pokemon, they will love Pokemon Sun and Moon. Nintendo has made some notable changes to the Pokemon formula. The gameplay has a variety of new enhancements. There are plenty of areas to explore and new Pokemon to discover. It’s a fun game that fans will appreciate. 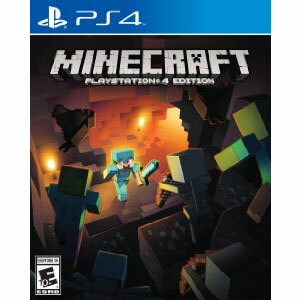 Minecraft is still one of the most popular and addictive games for kids and gamers. This game is not only for children — it can be enjoyed by everyone. Players are encouraged to think creatively and use their imagination in building their worlds. You can literally building anything from houses to castles! The game can be played solo, with up to 4 players in multiplayer, or up to 8 players online. Discover what the craze is all about! Does your child love dancing to music? 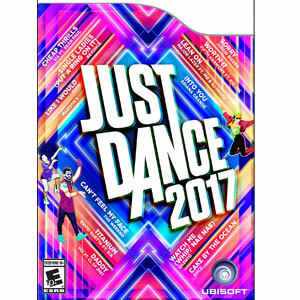 Just Dance 2017 features a load of chart-topping hits songs that will get your child off the couch and get them dancing. It’s a great party game and it will get you in good shape. It’s super fun and provides a great workout. What more could you ask for? If you are looking for a gift with an extra big heart attached, you can’t go wrong with these gadgets. Does your child love music? These BestBuds combine safety, comfort, and performance in a great package. These headphones are great for little ears and they work as intended. 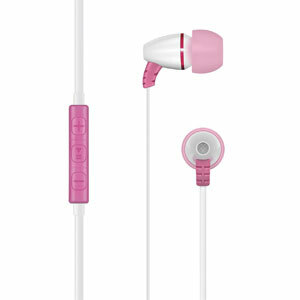 Kids will love them and parents can rest assured that they won’t be damaging their loved ones ears. Available in a variety of fun colors for kids. Preserve your Valentine’s memories with the Instax Mini 8. 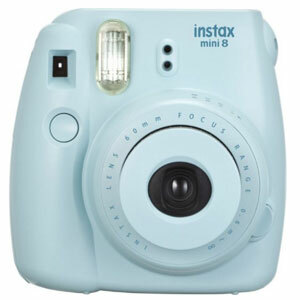 This instant camera delivers fantastic instant photos like the Polaroid. It features a cute and compact design for instant fun! The Mini 8 is easy to use and ideal for travel — wherever your adventures may take you. 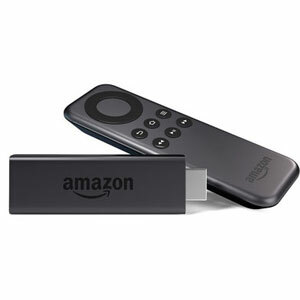 If your child loves streaming video, they’ll love the new Fire TV Stick, featuring Alexa. Simply say it, and Alexa plays content from services like Netflix, Hulu, HBO Now, Amazon Video, and more! Additionally, you can play music, discover movie show times, and even order a Domino’s pizza. Best of all, it’s easy to use … so sit back and enjoy! The Fire Kids Edition Tablet is a powerful tablet at an incredible price. It’s designed specifically for kids with its durable, kid-proof case. 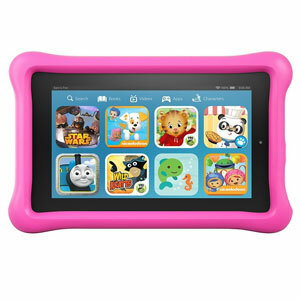 This is not a toy – it is a full-featured Fire tablet that entertains. Choose from kid-appropriate books, TV Shows, movies, educational apps, games, and more! This Fire tablet features best-in-class parental controls so you can control access and set limits. And with Amazon’s 2-year guarantee, there’s no need to worry if your child breaks it because they’ll replace it. More Valentine Gifts for Kids? Your turn! What are some great Valentine ideas for children? Let us know your ideas in the comment section below!